Indian management education is in a state of crisis and the issues of quality have aggravated over time. There is an imminent need of a leader to inspire a collective consciousness of quality and reform among B-schools. This leadership vacuum is most suitably filled by the Indian Institute of Management, Ahmedabad (IIM-A) which is undoubtedly the most recognized and respected brand name in Indian management education. 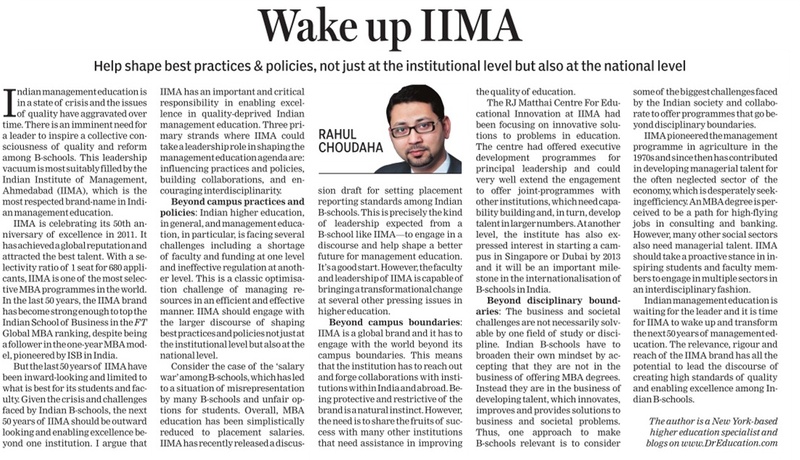 Three primary strands where IIM-A could take a leadership role in shaping the management education agenda are: influencing practices and policies not only at the institutional level but also national level; building collaborations and alliances with other institutions; and encouraging interdisciplinary management education beyond traditional sectors and career paths.